Gone Fishin’, Have A Happy Holiday! 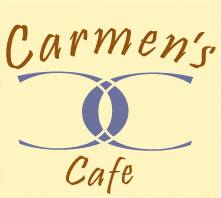 Carmen’s Café is closed July 1-2-3 in celebration of the 4th. We will visit with friends and family and remember what makes this country great. We wish you all our love and hope you have as much fun as we know we will…. The spectacular Patti Melita, jazz vocalist and longtime Troy resident, with Nat Phipps, pianist extraordinaire. 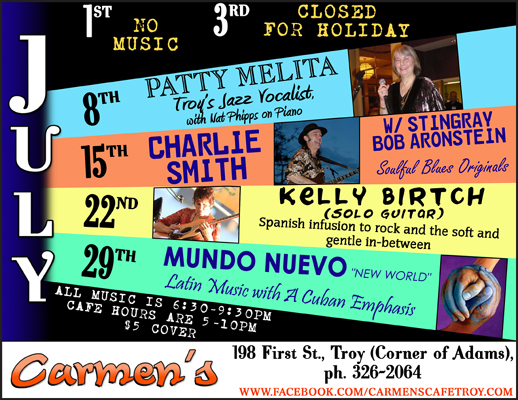 Check out the the schedule— We have some amazing performers this month!